Do you love your chiropractor? Has he/she made a serious impact in your life? 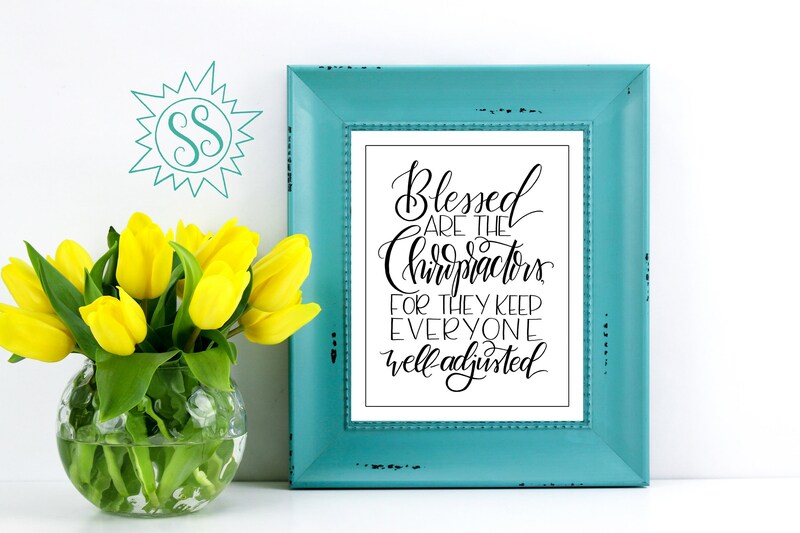 Let him/her know by gifting this printable! Simply purchase, print, and frame! This is NOT sold as a framed piece. This will not be shipped to you. It is TWO instant .pdf files for download. This file type is included for ease of printing. Please contact me directly at jessgard83 [!at] gmail.com with any questions! Copyright Jessica Gardner, Salty Sunbeam LLC, 2018: All images, designs, and text are copyrighted and cannot be stored, reproduced, or used without obtaining prior written consent from the owner.